Supports DNSSEC ECDSA, ED25519, RSA end point validation! 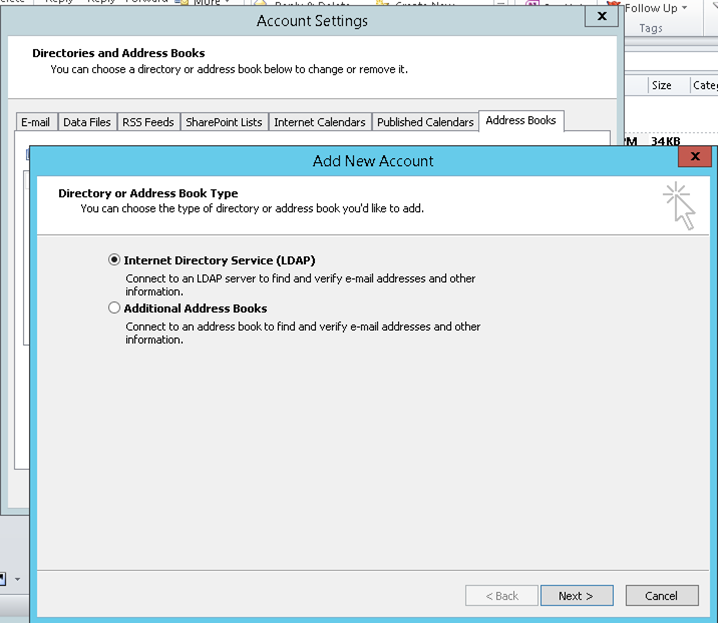 127.0.0.1:390 or ldap.ends2ends.com address book visible. 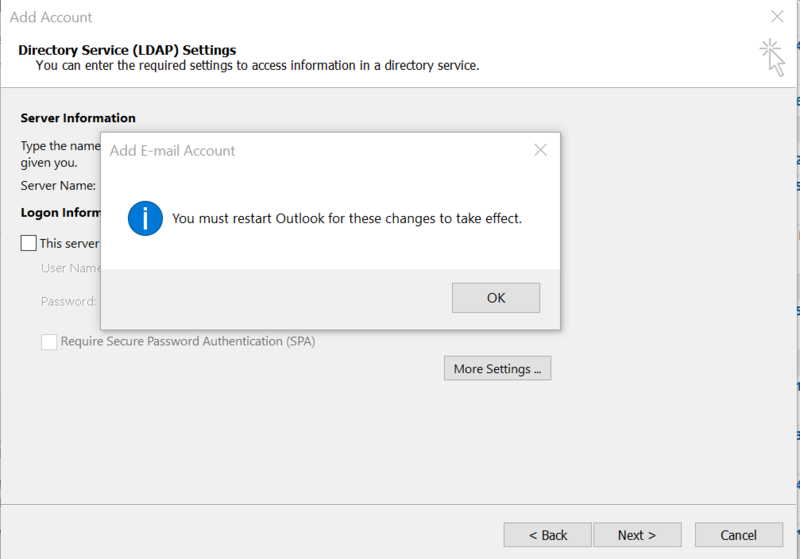 Close and restart Outlook. First generate a DNS record for the user's SMIME certificate by using a tool like this or sending a test email to checkme@ends2ends.com. 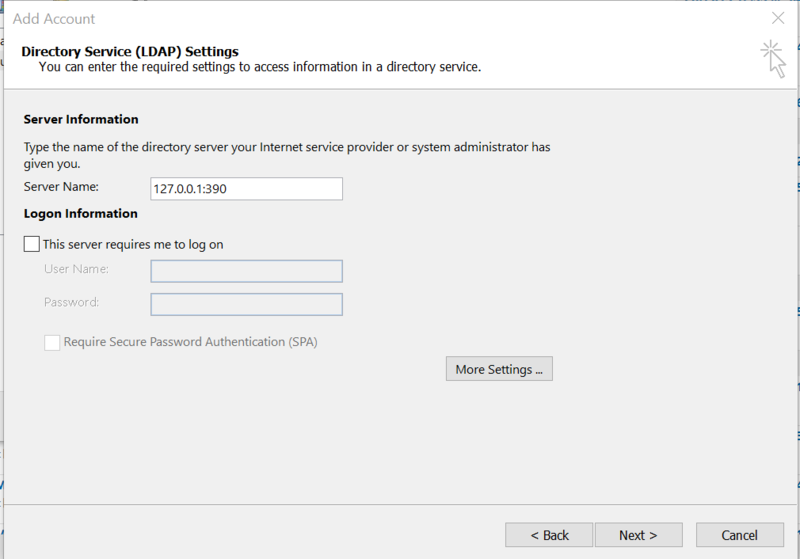 It basically is a miniature lightweight directory access protocol (LDAP) server that runs locally on your machine. 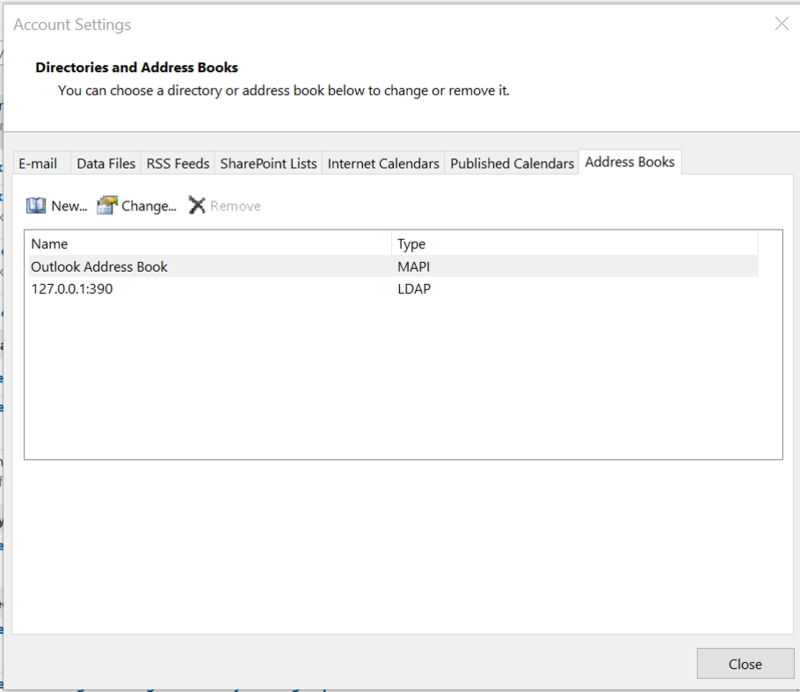 Applications like Microsoft Outlook can directly query ES2ES for information that is otherwise unavailable and/or unsecured. Currently ES2ES is used to look-up SMIME certificates in the public DNS (secured with DNSSEC) for email. 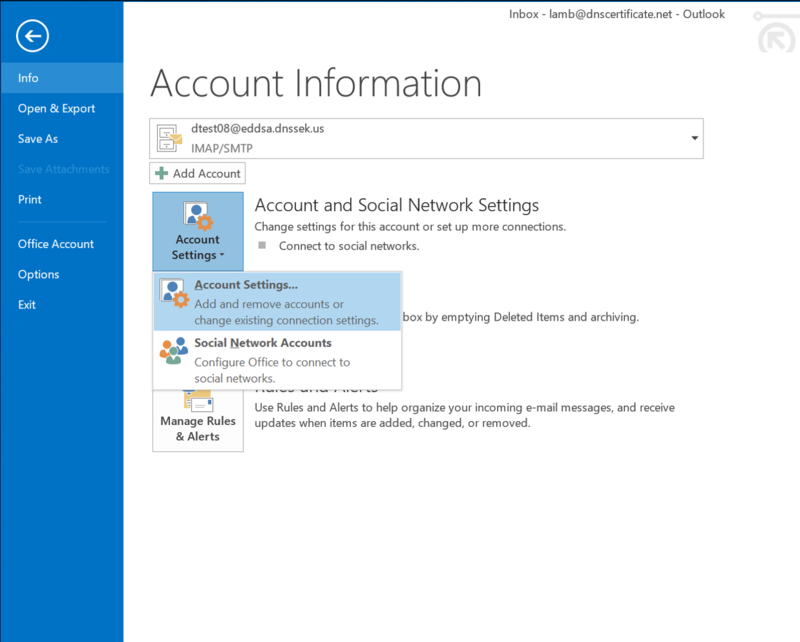 This removes one of the primary barriers to the widespread use of secured email, namely, certificate distribution. With ES2ES installed I can send encrypted email without a previous exchange of certificates to anyone who has published their certificate in the DNS using IETF RFC6698. Since ES2ES has its own Windows native multi-threaded I/O DNSSEC validator, the look-ups are fast and secured end-to-end from email source machine to destination machine. ES2ES translates the LDAP ASN.1 style requests into equivalent DNS look-ups and validates the responses using DNSSEC. What standards does ES2ES support? ES2ES is based on IETF RFC6698 and RFC8162 and will track updates in these standards. What other platforms will ES2ES run on? Currently only Windows 7-10 and 2012R2 server. We do have plans to support other platforms if there is more interest. What will be the post beta price? We plan on pricing the supported version in the $50USD range for single units similar to other security middleware products on the market. Server and Site licenses would certainly afford a discount. Will the public server support SSL? Currently it does not but there are plans to do so. Is the source code available? Source code is available under license and a separate base produced under a secure development life cycle for large companies and governments is also available.